I have a couples bridal shower to attend in a couple weeks so I used the new KI Memories “Playlist” line to make a fun card to take with me. 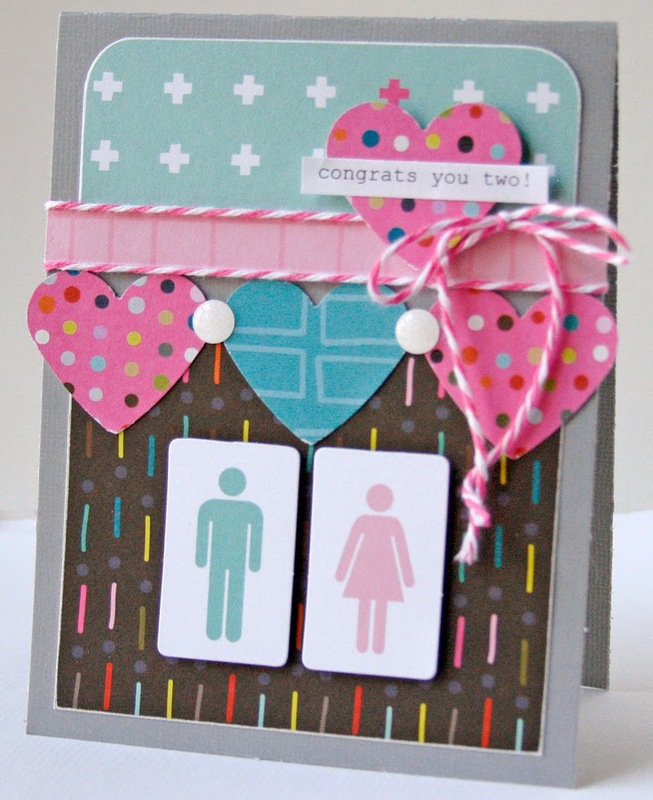 And I thought the fun man & woman die cuts would make a cute card! I used a punch to create the hearts. 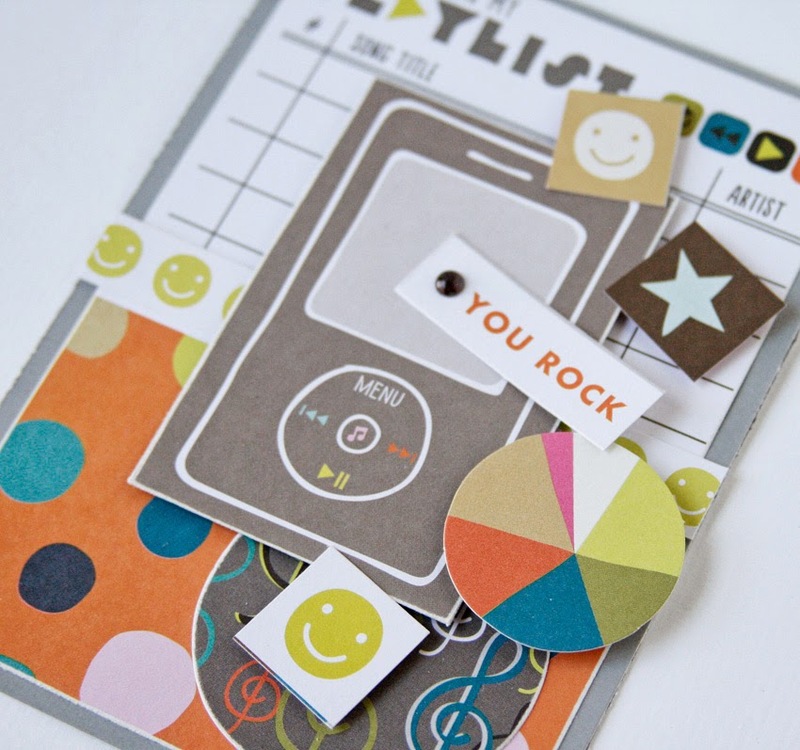 Then I embellished the card with a little twine and some glitter dots. Easy! Now I just have to remember to go get a gift card to put in it! ;) Thanks for looking! 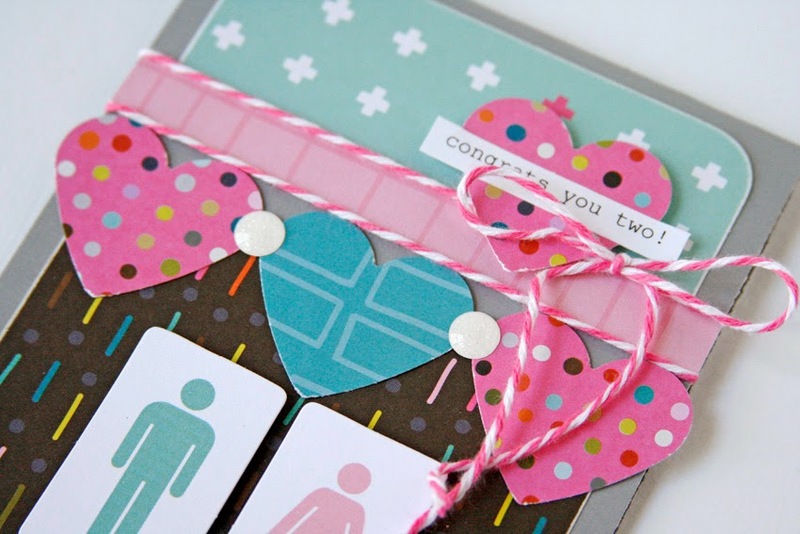 Why are girly cards so much easier to make than masculine ones?! Well I needed a manly card to give to someone I work with so I had to give it a shot. Thankfully the new KI Memories “Playlist” is a really versatile line and has some cool masculine elements in it to make my task easier! 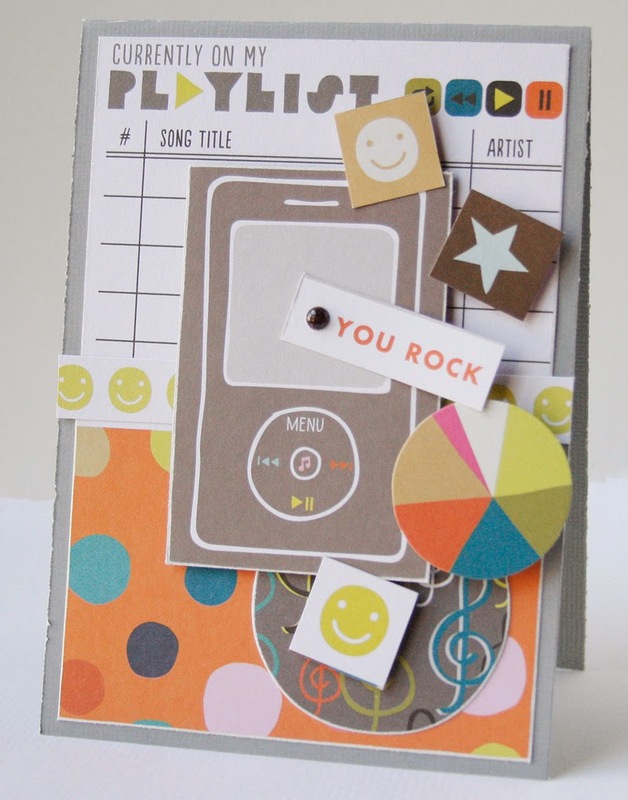 I combined some of the “Playlist” patterned papers with a couple die cuts to make this card. I kept the embellishments to a minimum really and stuck with manly colors. And I think it turned out just fine!  Thanks for looking!